Welcome! If you are joining me here today from my Proverbs 31 Ministries Encouragement for Today, Seems Right to Me, I’m so glad you are here. If you haven’t read it yet, just click here. Have you ever thought: Why pray if I already know the answer? Two wonderful opportunities had come my way. The problem was … they both came at the same time! God, why would you allow this to happen? I have waited so long. I just don’t get it! I had waited years to receive these offers, but since they would each require exorbitant effort, it was clear to me exactly what I needed to do. It was beyond unfortunate, but I had resolved to do the right thing. I had to say no to one. Heading to my desk to write the declination, I sensed in my heart, “You didn’t ask me.” It was true; I had not taken the time to talk to the Lord. But why pray if I already knew the answer? I wonder if Joseph thought the same thing when he found out Mary, the one he was pledged to marry, was pregnant. Matthew 1:19 tells us, “Because Joseph her husband was faithful to the law, and yet did not want to expose her to public disgrace, he had in mind to divorce her quietly.” (NIV) Joseph thought it over and according to their law, this was the best way to handle the sticky situation. Then … his plans were interrupted. “But after he had considered this, an angel of the Lord appeared to him in a dream and said, “Joseph son of David, do not be afraid to take Mary home as your wife, because what is conceived in her is from the Holy Spirit.” Matthew 1:20 (NIV) Apparently, Joseph had not acted immediately upon his impulse, but had created time and space in his life to hear from God. Through the angel’s message, Joseph discovered things were not really as they appeared! Though others would not understand the why behind the decision he would make, Joseph would keep moving forward and make Mary his wife. Would others think his choice didn’t make sense? Absolutely. Yet Joseph knew something they did not: this baby growing in Mary was a part of a miraculous plan of God’s. The Son of God was coming to save us from our sin. So despite whatever fears Joseph may have felt, he chose to trust God knew what He was doing. Can you recall a time when you, too, sensed a move God wanted you to make, that didn’t make sense to others, maybe it didn’t even make sense to you? Yet, you trusted God knew what He was doing. Now you look back and see, yes, God was faithful to help you, coming alongside you as you took one right step after another. Not unlike Joseph and Mary’s steps to Bethlehem. Did they get it? No, they probably didn’t understand all of God’s plan, yet they chose to go the way He had revealed so far. Unlike Joseph, I didn’t have an angel show up, revealing to me what God’s next steps were for my life. Yet when I prayed and read God’s word, looking for His direction, He made it clear. He had, in fact, given me the two opportunities simultaneously. He also made it clear He would be, to me, the God of endurance and encouragement (Romans 15:5). He would empower me to do what I couldn’t do on my own…and He did! These stories in our lives, history of God’s faithfulness to us, nudge us to believe again and again. Things are not always the way they seem. 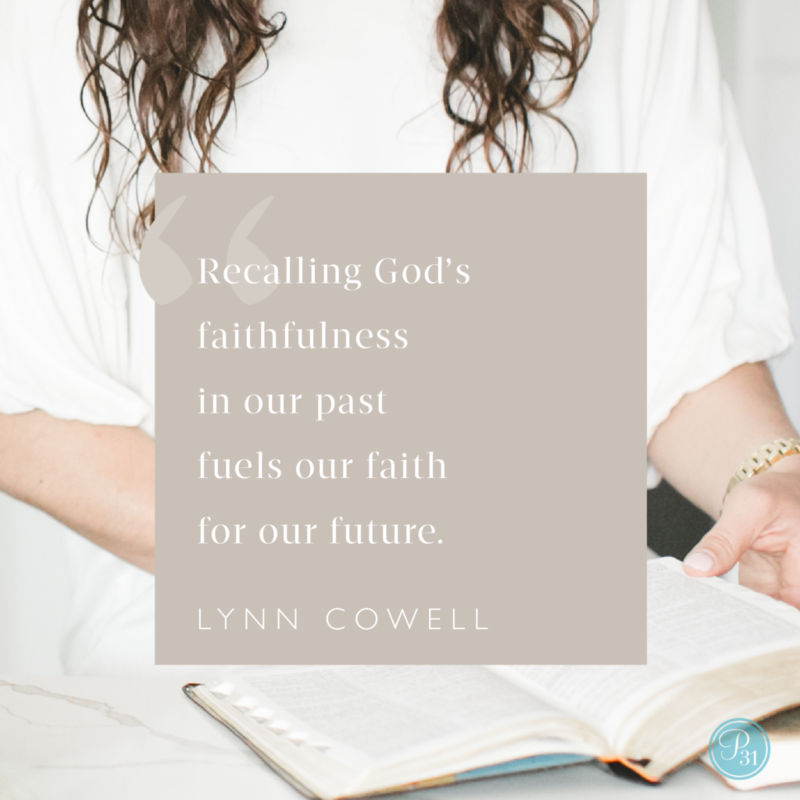 Recalling God’s faithfulness in our past fuels our faith for our future. 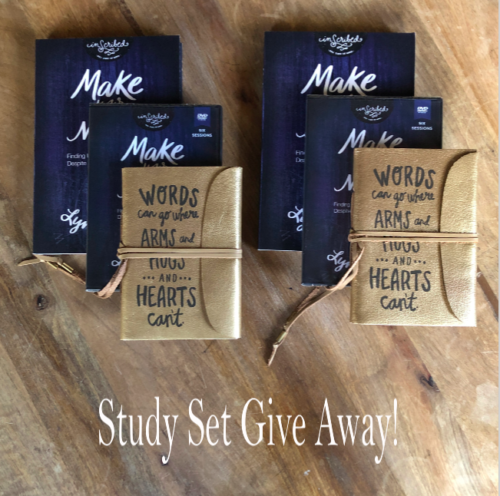 Today on my Instagram account, I’m giving away a Make Your Move study set – Make Your Move Bible study, Make Your Move DVD teaching and a beautiful gold journal – one set for you and one set for a friend! Give one set away for Christmas or invite some friends to get together in the New Year and find unshakable confidence in Christ! See you there! I am a 64 year old woman. A skin cancer survivor still taking chemotherapeutic skin treatments and going to work. I am not unhappy to do both. My soul is right with thee. But if it is written in God’s book of Lambs will God direct me to someday retire. Take it easy. Bible study and church work ? Blessed Christmas to all. For unto us is born today. A Savior Christ Jesus. Our Lord and Savior. Janet, thank you so much for sharing your journey with us! Merry Christmas to you, too, Janet! I would love to win the giveaway, but I am terrible at Instagram. I’m so sorry, Linda! I often have giveaways here on my blog, but for this one, have decided to host it on Instagram.